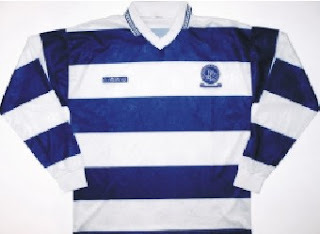 For the 1993/94 season, 'Clubhouse' became the kit manufacturer, an in-house affair and somewhat strange to understand the financial gain of not being paid by someone else to do it. 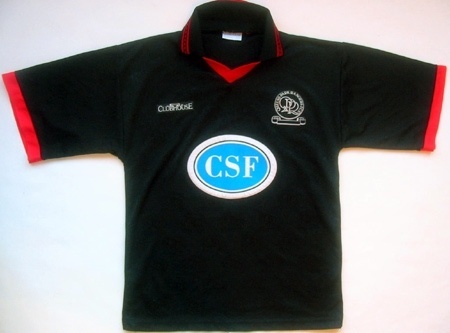 The kit was a good one though, and the new sponsors, Computer Solutions & Finance, only just made the opening fixture with a sew-on patch. A few games in and a more permanent 'solution' to the sponsor issue was found, not that any more people had actually heard of CSF. A rare long-sleeved version of the shirt, without sponsor. Two new away kits were launched this season, all-black, all-red, or a mixture of both - supposedly. 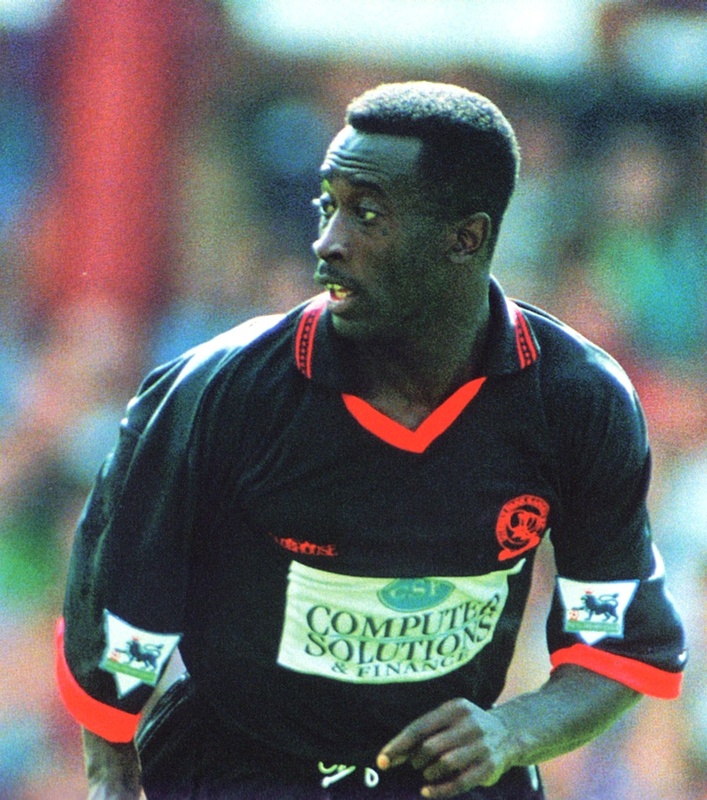 All-black was used only once, on the opening day of the season at Aston Villa. 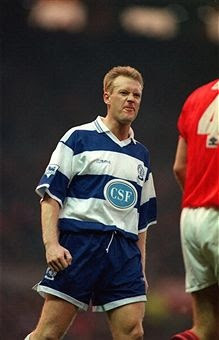 The shirt appeared again for the next away game at Chelsea, but with red shorts - and was never used again. Pity, all-black was quite classy. 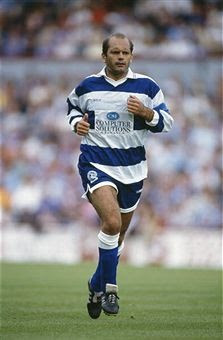 The black shirt with the refined sponsor and Clubhouse logo & QPR badge in white rather than red, was readily available to buy, but never used. All-red became the usual strip when a change of colours was needed away from home. It looked far cheaper than the black version. 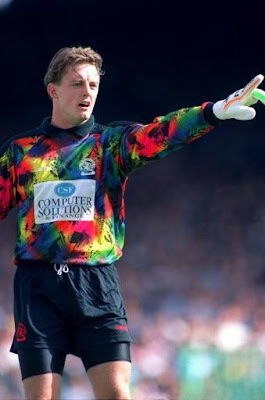 One of the goalkeeper's shirts - yuck!